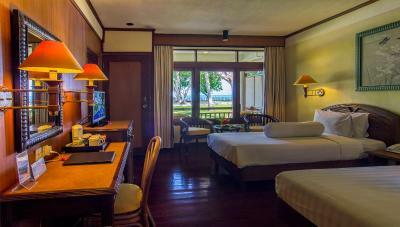 Lock in a great price for Kila Senggigi Beach Lombok - rated 8.8 by recent guests. Everything. Staff are professional and very friendly. Food was great, breakfast buffet was plentiful from toast to fried rice. The tropical garden was exactly just like on the photos. Lovely location and beautiful grounds. This is a real haven of tranquility. I've stayed here 2 times and hope to be back again. I love the grounds on a peninsula that the hotel is located on. There are beautiful tall trees providing shade along walkways and the sparkling sea with the sound of the surf surrounds it all. The staff is very sweet. 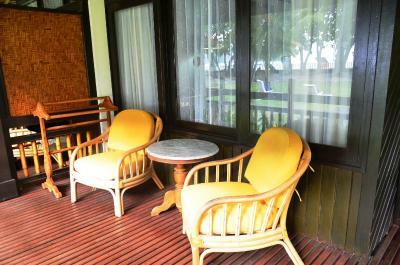 I enjoyed reading and having my tea on the room balcony. I slept well in the bed. I felt very relaxed here and it was a good place to recharge my energy. Superb location & setting. Very friendly staff. This is a great location right on the beach. Swimming pool is nice, though the sea in front of the hotel is even nicer (really calm, behind a reef). 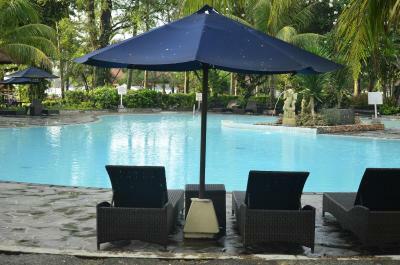 Very charming place, great staff, very green, nice breakfast and restaurants at the property. 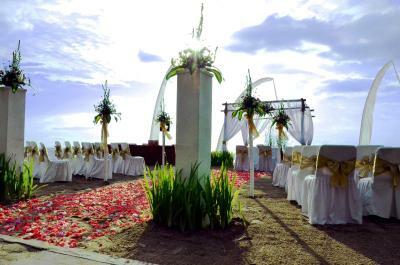 The service, the location, the beach, the breakfast, the room, the views, everything. 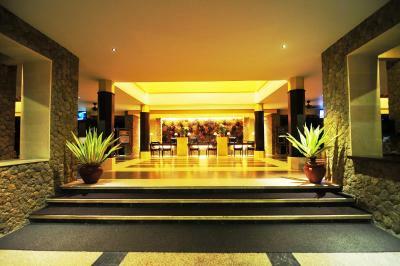 Beautiful hotel in a fantastic location surrounded on all sides by the ocean. It is an old hotel but for me that adds to it's charm. It means the enormous grounds & gardens are well established & the rooms have wonderful old wooden flooring. I would love to stay here again. 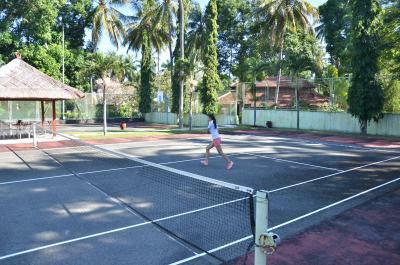 Senggigi Beach Hotel provides various recreational facilities including 2 tennis courts, a jogging track, and volleyball and badminton courts. 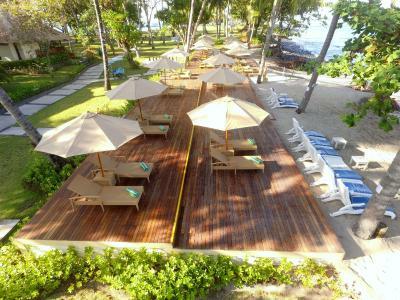 Operating a 24-hour front desk, it also offers water sports like windsurfing, canoeing and snorkelling. 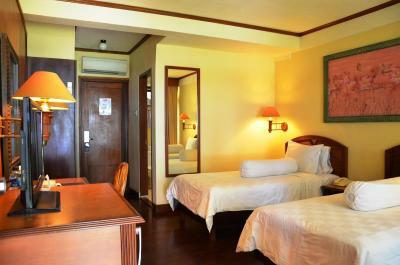 Rooms offer all the comfort of home with ample seating area, private balconies and various amenities like air conditioning and cable TV. A coffee/tea maker and a minibar are also provided. En suite bathrooms have large mirrors and fitted with either a shower or a bathtub. 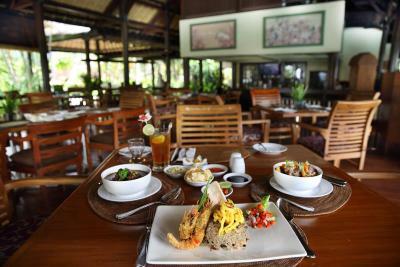 For meals, guests can visit the all-day dining Rinjani Restaurant which offers views of tropical gardens, ocean or pool, and a combination of European and Asian dishes. Fresh seafood can be enjoyed at Beach Comber Brasserie and delicious Italian delicacies with fine wine at Basilico Italian Sunset Cafe. 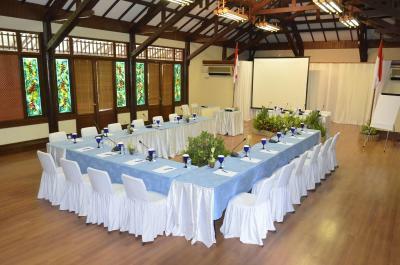 Senggigi is a 1-hour drive from Lombok International Airport. 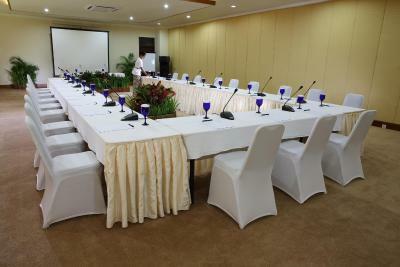 For convenience, the hotel provides car and bicycle rental facilities. 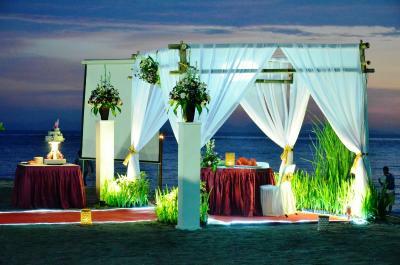 Kila Senggigi Beach Lombok has been welcoming Booking.com guests since 17 Feb 2010. 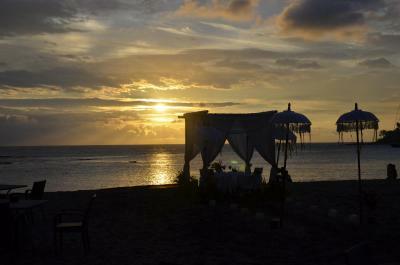 When would you like to stay at Kila Senggigi Beach Lombok? 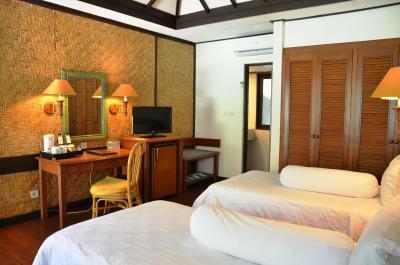 Rooms offer views of tropical gardens. En suite bathroom comes with a shower. A spacious standalone bungalow offering views of tropical gardens. En suite bathroom comes with a shower. 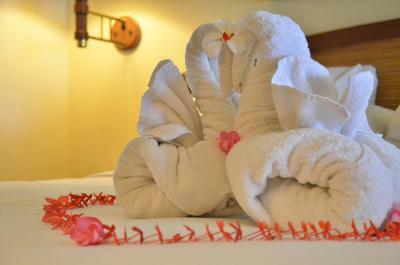 Rooms offer beautiful views of the ocean. 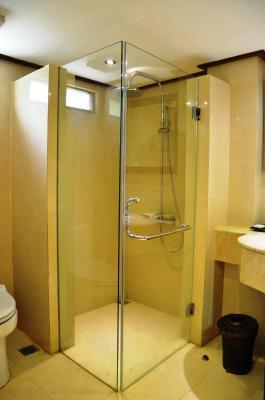 En suite bathroom comes with a shower. A spacious standalone bungalow offering views of the ocean. En suite bathroom comes with a shower. This bungalow features a balcony, electric kettle and seating area. 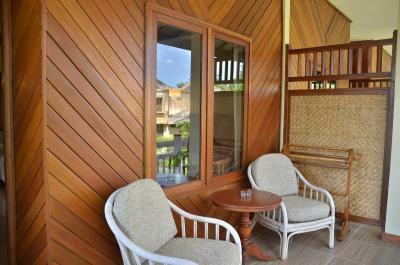 This bungalow features a balcony, minibar and satellite TV. Senggigi is Lombok’s most famous resort area. The Senggigi region is the main tourist destination on Lombok and is centred around the beach town of Senggigi on the West coast of the island of Lombok. 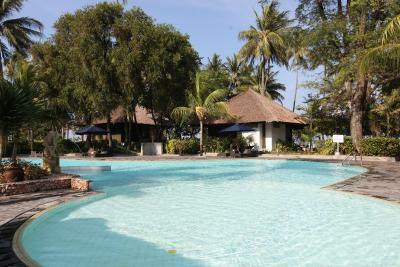 A perfect place to relax, Senggigi boasts a series of white sandy beaches and safe swimming areas. The point at central Senggigi has good waves for surfers. This place has a colourful reef which provides shelter to a variety of marine life and exquisitely shapped coral and makes it a perfect place to snorkle. 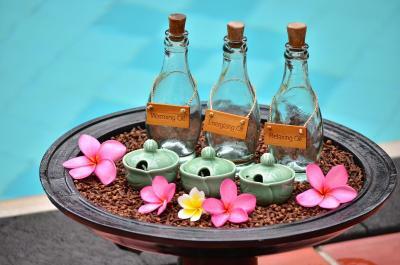 House rules Kila Senggigi Beach Lombok takes special requests - add in the next step! 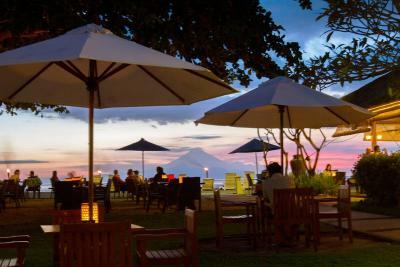 Kila Senggigi Beach Lombok accepts these cards and reserves the right to temporarily hold an amount prior to arrival. Please note that room rates for 31 December 2017 include compulsory dinner for 2 persons. 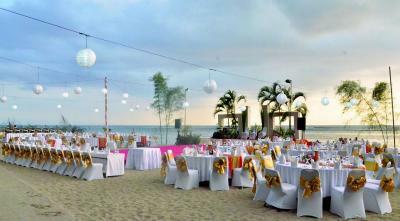 Please inform Kila Senggigi Beach Lombok in advance of your expected arrival time. You can use the Special Requests box when booking, or contact the property directly with the contact details provided in your confirmation. The toilet was (very slightly) smelly. Nothing major, and typical in these kind of tropical countries (I doubt the hotel could have done anything about it, and it was much better than most other hotels in Indonesia). The cocktails at the beach restaurant were not as strong as I normally like them (but hey, that is just a question of likes and dislikes, I'm sure others prefer them that way). The room was clean and nice. The beach was beautiful. The restaurant breakfast buffet was outstanding. There is nothing not to like. 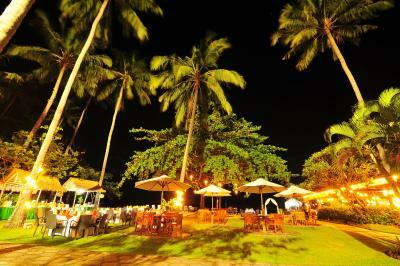 Fantastic resort, beautiful location, great service, marvellous gardens and beautiful beach. Very friendly staff!! Everyone says Hi with a smile :) the rooms are very clean and we felt like at home! 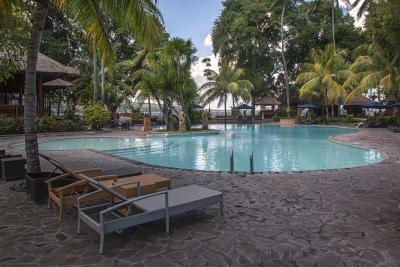 the perfect spot in senggigi! We rented a snorkel equipment in the resort and went snorkeling on both beaches. Very nice - unfortunately with a bit plastic in the sea.. but that happens.. 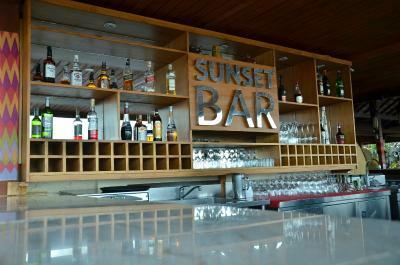 The restaurant staff are great und we had beautiful sunsets at the restaurant at the beach. Very nice pool as well. We definitely will come back! The breakfast could definitely be improved upon. 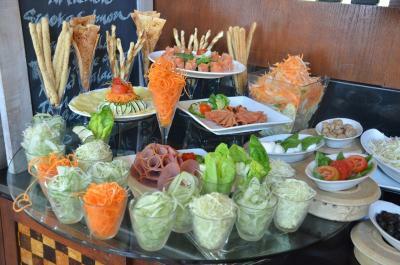 Perhaps for local guests it's great but for westerners more variety is needed. More healthy options such as a wider variety of fruit & muesli would be so easy to do. The Seaview isn't great since there's a fence on the front and also obstructed by plants. They could do a better job cleaning the toilets every day. No many plugs for charging electronics. I like the privacy of the bungalow. The beds were comfortable. I like having coffee in the am in the room.